Lourdes Books Telling Stories and Facts of the Apparitions. Books of St Bernadette telling her story, information books and DVD all providing information on the special event that took place in 1858. 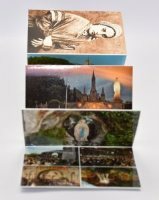 We have booklets and postcards with picture of the impressive and magnificent torchlight processions that take place in the Sanctuary of Lourdes. 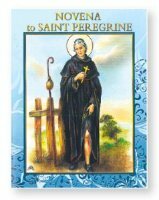 Novena Booklet to Saint Peregrine with Prayers. 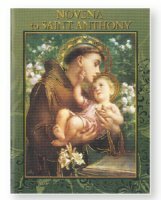 Book - Holy Communion of the Sick. I Love Lourdes Metal Ballpoint Crystal Pen. 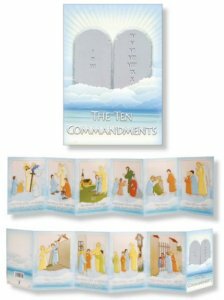 The Ten Commandments Laminated Booklet. Concertina Paper Booklet - How to Say the Rosary. 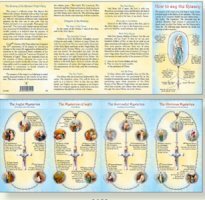 The Mysteries of the Holy Rosary Booklet.